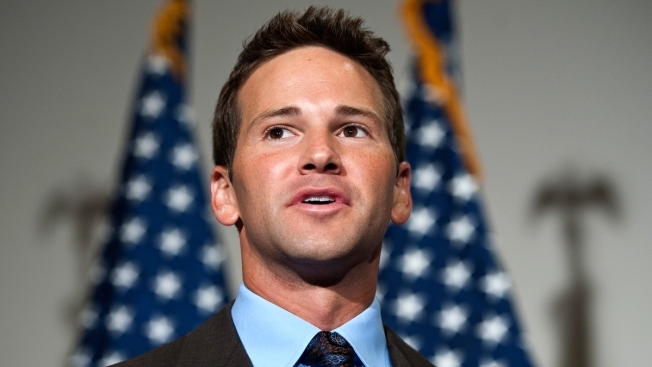 Former Rep. Aaron Schock may be out of office, but he still has to explain himself to the Federal Election Commission. And the quarterly report filed for his election committee, shows that big money was flying in and out of the congressman’s account, to the very end. An examination by NBC5 Investigates shows the former 18th District congressman spent more than $42,000 on travel expenses, most of it on airfare, with one notable $4,000 stay at the swank White Elephant Hotel in Nantucket. The congressman dropped another $3,407 for gift bowls at Tiffany’s, and more than $3,000 at Garrett’s Popcorn. The federal records indicate that his American Express bills topped more than $75,000. The campaign report indicates large amounts of cash were flowing into the Schock bank accounts as well. There were notable donations from big-time GOP donors like Ron Gidwitz, Sam Zell, and Rich Melman. Bloomington-based State Farm, and the employees of Peoria-based Caterpillar contributed as well, as did the Airline Pilots Association, and the National Air Traffic Controllers. Schock’s committee also listed one major liability: a $319,000 debt to his lawyers, at the Jones-Day firm in Washington. Another of the congressman’s accounts, the Schock Victory Committee, listed hotel stays at the New York Palace and Beverly Wilshire in Los Angeles, and more than $12,000 in additional American Express expenses. He also transferred more than $81,000 to his own Pac, the Generation-Y fund. The reports for that committee have not yet been filed. A Chicago lawyer who donated $500 to Schock's campaign filed a lawsuit Wednesday seeking reimbursement. Howard Foster said he wants to make the filing a class-action suit but is currently the only plaintiff. Schock's resignation was effective March 31 and came after weeks of questions surrounding misuse of funds in his campaign and congressional spending accounts, including reports that he redecorated his office with lavish decor inspired by "Downton Abbey." The Clerk of the United States House of Representatives said Tuesday it has been told at least four staffers who worked for Schock have been subpoenaed to testify before a federal grand jury as part of an ongoing investigation. Also Tuesday, a federal judge in Chicago scheduled a July 7 primary and a Sept. 10 general election to fill Schock's open seat.